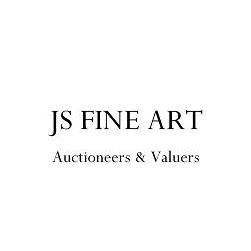 JS Fine Art holds regular specialist auctions of Fine Art & Antiques along with fortnightly auctions of Antique and Later Furniture and Effects. All auctions start at 10am and are held in our large auction rooms just outside Banbury in Oxfordshire. Viewing is from 9am-7pm the day before, and from 8.30am on the morning of the auction. We have a range of general and specialist valuers and consultants to give you expert advice on all aspects of the antiques market, and who will ensure that your lots are catalogued and entered into the most appropriate auction. As well as producing printed catalogues, all auctions are illustrated on the internet, bringing your lots before a national and international audience. We also provide a comprehensive and efficient Valuation service, undertaking valuations for Insurance and Probate throughout Oxfordshire and the surrounding counties.